Published first in the UK (last year) and in the United States this summer, I got an advanced copy of the US edition Wicked Girls from the Early Word program. This is not a book I would have normally picked up, but I could not put it down. Perhaps I like mysteries/thrillers more than I thought I did or perhaps this book is just THAT GOOD. 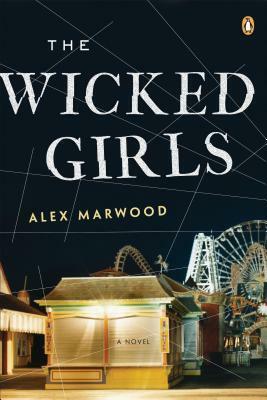 The Wicked Girls by Alex Marwood. 378 pages. UK version published by Sphere in 2012, US version published July 30, 2013 by Penguin. Bottom Line: Recommended for most all public libraries. Great summer read. Would appeal either to mystery fans of sociological issues fans (ie Jodi Piccoult). Two 11 year-old girls suffering from different and very similar lives of neglect meet for one summer day. At the end of that day, they are murderers. Their subsequent prosecution, imprisonment, and release under a protection program that changes their identities all come to a head 25 years later. Kristy is a journalist covering a serial killer and Amber is a cleaning supervisor who has found one of the victims. Switching between the current series of murders and their fears for the lives they've established should their secret be revealed. When a child commits a terrible crime, there is a lot of speculation in the media on why (bad parenting, violent video games, natural sociopath, pick your disorder du jour). This book can not and does not try to give an overarching reason. Instead it tells a very plausible story of two girls, one awful day, and the adults they become. At no point is this an apologetic tale, the horror of what happened and the culpability of all involved is never sugarcoated. However for those of you like your thriller with a healthy dose of psychological introspection, Marwood has written a fantastic tale for you. Setting: an economically depressed, working class town on a cold rainy coast in Britain. It is perfectly described. Have you read The Working Poor or Nickel and Dimed? What I love here, beyond the obvious thriller/mystery, was the contrasts of the recession on Kristy (solidly middle class but struggling with her husband out of work) and Amber and her working class/minimum wage colleagues. Fantastically done, insightful societal portraits. Ultimately, that is why this appeals so much more to me than your average mystery. The vivid characters, detailed setting, and multifaceted look at a society's larger issues are incredibly compelling. More than the mystery, that keeps the reader turning the pages and thinking about it long after you have finished reading. Oh yeah and the mystery is good and fast paced. You will want to know what precisely happened on the day when they were children and who is killing people now. I had called out the red herring and the real murderer pretty early though. But it wasn't enough to stop me from reading the rest of this book as it usually does with mysteries. Seeing how Marwood would get us to the end kept me reading. Overall this is just a fantastic book. Orson Scott Card's Ender's Game is finally going to be made into a movie. I could not be more excited. I might have had a barely contained squeal in the theater the first time I saw a trailer. Love those books. I've loved most everything I've read by Orson Scott Card and I've read most of his works that aren't barely disguised allegories for Mormon theology. Oh yeah, Orson Scott Card is a member of the church of Jesus Christ of Latter Day Saints, a religion not known for its tolerance. And he was a board member of the National Organization for Marriage until very recently. And by marriage, that group means only heterosexual marriage. For this and similar reasons, a group of LGBTQ geeks has organized a boycott of Ender's Game called Skip Ender's Game. I agree with their sentiments, mostly. The New York Times has an editorial that explains it better than I probably will. Basically this is a bit different than the Chik-Fil-A boycott. Their profits were being directly funneled into anti-gay causes. And creators have throughout history had crazy opinions separate from their creations. That said, it is possible I am making excuses because I really want to see this movie. I don't know. Perhaps the best reason to boycott it is the likelihood it will be a disappointment. I should keep Petra, Ender, Bean, and all my other battleschool friends the way they look in my head. I could not watch it in theaters and grab the DVD from the library (the library will buy the number of copies it does based on other factors, not my borrowing habits) for free instead of giving it money directly at the theater or indirectly through Netflix. And it wouldn't end my life to skip it entirely. I'm just not sure that it will make any difference. Do you know what makes a difference in these types of social issues? For every loud mouth bigot, that there are 10 or 100 people quietly living their lives. Because when you know a couple who has been together, committed and in love for years but able to have any legal protections, your mind starts to change. When you realize that it is fine for your church to not perform the marriage, but that has nothing to do with the state defined contract of marriage and those protections, your mind changes. (For example the Catholic church wouldn't marry my husband and I because neither of us are Catholic or willing to raise children Catholic, but they have no problem with the state of Alaska recognizing our marriage.) And when people in the public eye, quietly come out, newscasters and sports figures, actors, child stars, and singers, that is when mind changes. Honestly, I'm not sure Card has as much influence here. Orson Scott Card has a vivid imagination. Too bad he doesn't stick to science fiction, but instead uses it to imagine that Obama is recruiting an army of urban gang members. Too bad he has some views that I hate. But does that invalidate all of his contributions in terms of artistic merit? As the Times article linked above is this a form of blacklisting because we don't like his politics? Didn't we (rightfully) hate on McCarthy for doing the same thing? Ender's Game has nothing to do with gay marriage, so why can't we enjoy it for what it is? What is a socially conscious geek girl to do? This is a very quick blog post started by a conversation on Twitter. MagpieLibrarian (aka Ingrid) whom I've never met, but I saw once at ALA and was too shy to say hi, put up a very cool body-positive display in her tween/teen area. You can read all about it here. Also apparently, I am the only person who is hyphenating body positive so I'll stop that. Then I mentioned that I used to do body positive/self-esteem storytimes as part of my regular rotation of storytimes. 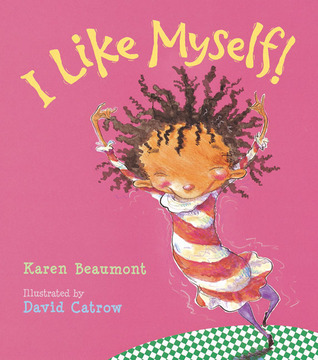 There's a million studies out there about negative self-esteem, especially in girls, and how young it starts. We've all seen the articles about the sexualization of Strawberry Shortcake and even My Little Pony. If the marketers are starting that early, anyone who wants to be on the other side of this fight should too. Lest the parents believe I'm pushing an agenda, I call it "I Like Me" storytime. 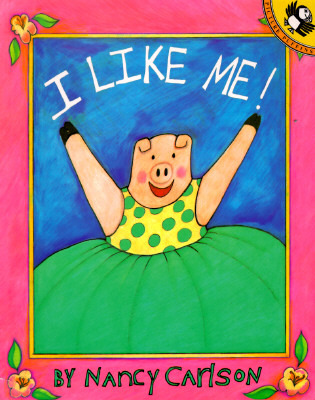 I first got the idea for this story from Nancy Carlson's classic book I Like Me where a vivacious pig lists all the things she likes about herself including her round little tummy. She lists all the great stuff she can do, including ride her bike fast, how she keeps trying after she makes a mistake, and the ways she takes care of herself. But my favorite page is where the pig in her pajamas (admittedly a retro baby doll pajama set but not at all a sexualized look) greets herself every morning with "Hi, good-looking!" It usually makes all the moms laugh, but that is in the tone of voice you read, I camp it up. 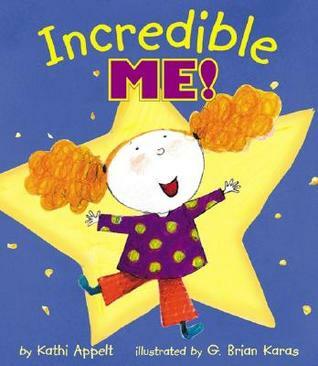 There are a whole host of great books available for preschoolers to do a storytime. Many of them are short enough that it is possible (I've done it) to use as a lapsit/toddler program. I'm publishing my list from the last time I did this storytime in 2011. And even then I remember not putting all the books in the packet. Clearly we read 3-4 books at storytime, but we made packets for the entire system that had more books so each librarian could choose their favorites. While I try to keep up with children's literature, I've fallen a bit behind on picture books since I'm now a branch manager. Please comment on if you know any more. I like to do one flannel or magnet board story at each storytime. It's fun, breaks the rhythm, and helps kids who learn differently. 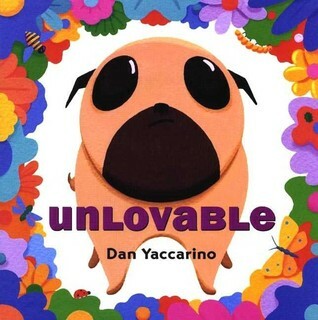 The Ugly Duckling is a really good choice out there. If you're in one of those libraries that has a huge filing cabinet full of flannel boards (man I love those things), odds are better than even that you have one for The Ugly Duckling already. If you don't, you can make one. I promise. I'm not that artistic (I'm crafty but I can't draw) and I've done it. Or you can cheat and do a magnet board. We had a two sided board with flannel on one side and magnetized white board on the other. Go to the craft store, buy the magnets that come in strips and are sticky on one side. Start googling around for duckling and baby swan (cygnet) templates. (I recommend adding the words "coloring page" to your search.) Print them out the appropriate size. Color in brightly with markers (pinch yourself because you're getting paid to color). Laminate them; if you don't have access to a laminating machine I don't know how you can call yourself a youth services librarian; I laminated everything in sight in my YS days. Attach magnets. Take dry erase markers and draw a lake and some weeds and a nest and some eggs. Voila! Storytelling stage set! Any body song will work here as well any of those rhymes where you "clap your hands, stamp your feet, turn around, take a seat". I'll list a few to get you started. The Hokey-Pokey (under no circumstances should you ever in your life turn down an opportunity to do the Hokey-Pokey). Following verses, all the same except third stanza which you substitute for other actions. Here are two of my favorites. Clearly you need to have outlines of body shapes (the generic could be a girl or boy one) and let the kids color themselves. For more fun, have random shapes of random colors of paper and they can glue them on for clothes. I used to save all my random scraps of paper for this and making monsters. Recycling! Go fancy with yarn to glue on for hair and googly eyes or eye stickers. Best storytime ever: a little girl glued on purple hair because someday she would have purple hair but mommy wouldn't let her now. I hope she got it. There you go, a super fun, easy storytime to promote body positive thinking! Happy Reading! Sometimes I like to pair books with audiobooks the way other people pair wines with meals. I paired this with Cloud Atlas by David Mitchell (on audio) and it was a lovely matching. Reincarnation that isn't quite reincarnation in both cases. Beautiful combination. 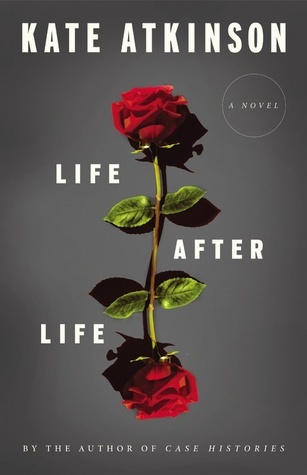 Life After Life by Kate Atkinson. 529 pages. Published in April 2013 by Reagan Arthur Books. Bottom Line: I can not say enough good things about this book. It's a wonderful character based relationship drama, beautifully written with a fascinating plot device. Will appeal to fans of Kate Morton. Good choice for book clubs. Recommended for all libraries. In 1910 Ursula Todd is born and dies due to a cord wrapped around her neck. But then again on that same night she is born and this time the doctor makes it to her house and she lives. So it goes throughout her life, she dies and the next time manages to change events. Vague memories of previous lives haunt her with a constant since of deja vu. But with a life that spans two wars, a depression, and a flu epidemic can she use this to change more than just her own fate and that of the ones she loves? This is a seriously fantastic concept. I've never seen reincarnation approached in quite this way before (the closest perhaps is The Butterfly Effect but this is much better done). The reliving of lives leaves Ursula able to make different choices as she grows older and as such affect not only if she lives, but those around her. Of course her constant since of deja vu leads to its own problems. The language Atkinson uses is beautiful, it is as repetitive and circular as is Ursula's life resulting in a melancholy, ethereal quality. Such revisits and repeats of scenes as we relive Ursula's life could be tiresome and redundant, but they aren't. With each return to a scene it is framed slightly differently and we learn something new about the characters. It's brilliant. The setting is ideal for such a plot device. A girl who watches her father fight in one world war, the entire world set back by a flu epidemic, and then her brothers and friends fight in another world war is uniquely poised to do something if she has a pre-knowledge of history. England of the countryside and London are starkly rendered. I felt as cold and bone-weary as Ursula did as she searched bombed buildings for survivors during the Blitz. And let's talk about the ending. (No spoilers, promise!) When you have a main character who constantly gets to relive her own life, it would be possible to never end your story and almost impossible to really end it. While everyone of the 529 pages are worth it, I did wonder how she would end it. And how she did still leaves you with a lot of questions, but also a lot of satisfaction. I chose to believe that each time she restarted and changed something she created a new parallel universe, but I read too much scifi. And thus we ended in the universe that the author wanted us to live in. Please note this book is not scifi by any stretch of the imagination. I'm sure it gets classified as "women's lit" but I hate that term. I'm going with literary fiction because of how wonderfully written and carefully constructed it is. Just go read it.